You can do what you want to do on a private tour. 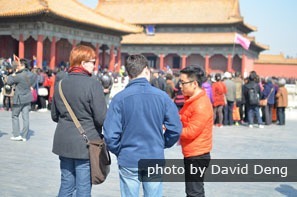 When you are planning a China tour online, you may come across the term “tailor-made tour”. This type of tour is unique and created individually to suit your style, taste, and budget. This page will explain why it is recommended to take a tailor-made tour in China and what you can expect from our tailor-made tours. 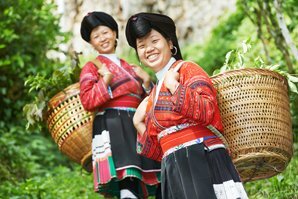 Why Take a Tailor-Made Tour in China? 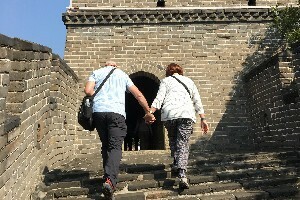 With a tailor-made tour, your private guide and private car will make your China tour easy and comfortable. English is not very popular in most parts of China. It is a big challenge for first-time visitors to communicate in China, especially for those who travel independently or travel outside of the big cities, such as Beijing and Shanghai. With a tailor-made tour, you can get quality English service, or even service in other languages if required. China is a huge country and the transport between tourist destinations can be complicated. Google maps and other apps are blocked in China, which makes it even harder. Professional advice is helpful, as is arranging the transportation on your behalf, making your tour planning less time-consuming and more economical. China is rich in attractions, from cultural heritage and natural parks to ethnic villages and uniquely Chinese treasures. An itinerary that’s tailor-made, based on your interests and tastes, is the best way to maximize your time to fully explore the country. 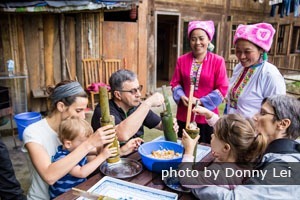 This family is learning how to make bamboo rice in a village in Guilin, while traveling with us. Our tailor-made vacations are bespoke trips crafted to suit your interests and requirements. You are the boss who decides what’s on the itinerary, when to start your tour, and how long you want to spend in each place. 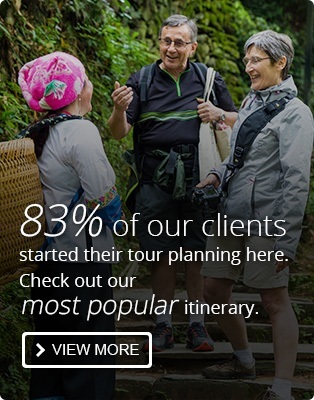 By personalizing a tour in this way, you create a trip that’s totally unique to you. No matter whether you are looking for a relaxing tour for your family, a time-smart trip, or an adventurous exploration, you will have an itinerary designed to please you. We offer fully customized itineraries tailored to meet your goals, interests, and needs. What you need to do is to give us your requirements, such as how long you want to travel for, what kind of things you are interested in, and how much you want to spend. On receipt of your inquiry, one of our travel consultants, who has first-hand knowledge of your target destinations, will contact you to provide suggestions and create your personal day-to-day itinerary. 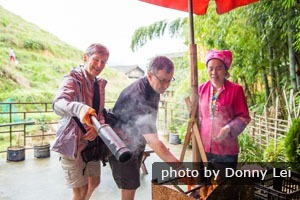 Beyond the most popular attractions, your itinerary can include authentic experiences in hidden places that range from discovering a wild section of the Great Wall to making bamboo rice in a minority village. You can make unlimited changes to the itinerary, even during your trip in China. Our tailor-made tours allow you the freedom to decide the travel dates. You are free to change the dates even when the booking has been completed. 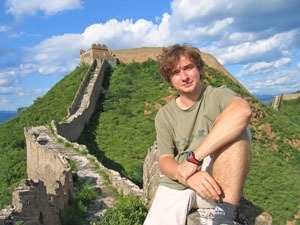 Our customers walk the Great Wall at their own pace. As the itinerary is tailored to you, you are the key to controlling the schedule and pace on each day. You can decide to start the tour later or earlier, decide to spend more time in the attractions you like and less time in other attractions, and you will still have the luxury of being flexible while you are traveling with an expert guide. With our tailor-made tour, your private guide is selected and matched to you according to your requirements. 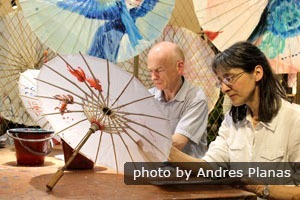 Travel with China Highlights for expert private tour service. For different requirements, we can arrange guides who have specialist knowledge in different fields. We have history experts, panda experts, photography experts, and so on. 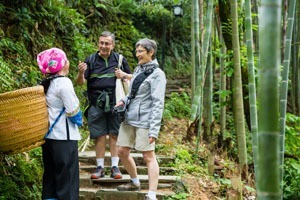 Our experienced guides are not just tour guides who introduce the attractions and cities to you. They can also give you recommendations and suggestions for your free time or if the planned activities cannot be completed on schedule due to the weather or other reasons. 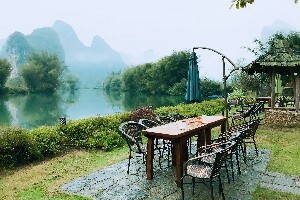 A hotel in Yangshuo selected for our clients who prefer the hotels with beautiful views. Do you want a hotel with a swimming pool, a beautiful view, or a central location? With tailored travel, you have complete freedom to choose any element of your accommodation, from the location and style to the budget. Whatever your preferences are, our travel experts will seek out and find the perfect accommodation for you. With bespoke tours, you have control over the modes of transport, such as flights or train journeys between cities, your preferred airline, the time you depart, and the cabin class. According to your group size and requirements, we can arrange a vehicle suitable for you, from minivans to a luxury car. You can explore your interests in authentic local Chinese food in our tailor-made trip. 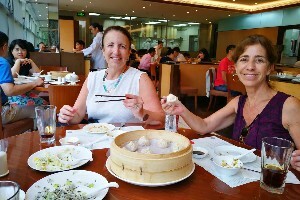 The meals included in our China tours are à la carte, while group tours only offer set menus without any choices. We have selected many great restaurants and can provide you with various options, such as Western, vegetarian, Muslim, Chinese, and Indian. A tailor-made trip will also give you the opportunity to explore your interests in authentic local Chinese food. Vegetarian, halal, kosher, gluten-free… — all your dietary requirements can be taken care of by our experienced private guides. China Highlights customers are learning to make bamboo rice in an ethnic village in Guilin. We, at China Highlights, specialize in tailor-made holidays and our experienced travel consultants can help you customize your perfect holiday in China. From special excursions to fully personalized travel itineraries, we can help you create your dream China tour. Let us know your requirements to see what we can do: inquiries are free. Find more ideas on our page China tours for 2019.